Hedge funds will be impacted by the Dodd-Frank Act in numerous ways, some more well-known than others. Some of the better known examples of such impact are the repeal of the private adviser exemption, thus requiring registration for hedge fund managers that do not qualify for other exemptions. Among the exemptions added, of course, is the much-publicized exemption for private funds with less than $150 million in annual assets under management. Other areas of impact on the hedge fund industry are not as widely discussed. 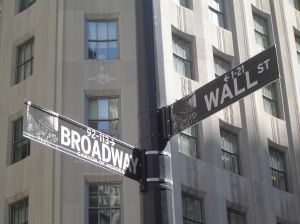 As the SEC Commissioner Troy A. Paredes highlighted in his June 8, 2011 address at The George Washington University Law School, other aspects of Dodd-Frank have less direct, but no less significant, impact on the hedge fund industry. For example, Dodd-Frank directs the SEC to adopt regulations or guidelines that prohibit incentive-based compensation arrangements that might “encourage inappropriate risks” by financial institutions. This would prohibit investment advisers with $1 billion or more under management from paying excessive compensation that could lead to material financial loss. Dodd-Frank also grants the SEC the authority to craft a new regulatory regime for the derivatives market that will undoubtedly affect a large percentage of hedge fund managers. Commissioner Paredes pointed out that already the SEC has proposed rules that, among other things, defines a “swap,” a “securities-based swap,” a “securities-based swap agreement” and “mixed swap” for the purpose of drawing a distinction between the jurisdiction of the SEC and the Commodities Futures Trading Commission. Similarly, Dodd-Frank calls upon the SEC to conduct two studies regarding short sale disclosures, another area sure to impact hedge funds and their managers. The first of these is a requirement that the SEC study the effects of acquiring short sale positions to be reported in real time, while the second requires the SEC to study the feasibility of a pilot program that would require all trades to be marked as “long,” “short,” “market maker short,” or “buy-to-cover,” in real time on the Consolidated Tape. Proposals have been advanced under Dodd-Frank, including a proposal that requires investment advisers to private funds to make disclosures on a new form “PF,” and proposed amendments that would expand the disclosures disclosed under Part 1 of Form ADV. Most of these rules are currently in the consideration, formulation, or even in the proposal stage, with the latter open for comment. While private advisers adjust to the new landscape, it is important for them to stay abreast of the changes and prospective changes, to comment upon SEC rule proposals where appropriate, and to act promptly to implement any changes that result from enacted and approved rules. Parker MacIntyre provides legal, compliance, and regulatory services to hedge funds and their advisers.